Ontario’s Kathleen Wynne simultaneously destroyed her political fortunes, as she set about destroying one of Canada’s most productive provinces. A raft of policies drawn up by Wynne and her fellow eco-zealots, all safely ensconced in Toronto, resulted in thousands of these things being speared right across Ontario. Furious communities and rocketing power prices are the only ‘dividends’ on show. 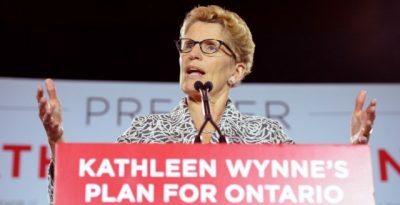 Wynne and her band of lunatic Liberals were duly rewarded with an electoral drubbing at the hand of Doug Ford and his Progressive Conservatives back in June. Ford reduced the Liberals to a sullen rump, after running on a platform that made no secret of his hostility to heavily subsidised and completely chaotic wind power. Ford promised to scrap the Green Energy Act, put in place by Wynne’s Liberals, that was primarily responsible for wrecking Ontario. Here’s a trifecta from Toronto on Ford’s efforts to undo the damage done, starting with the repeal of the Act that caused so much of it. The only thing “green” about the Green Energy Act was the green that lined the pockets of well-connected insiders. That’s why, yesterday, I was very pleased to be joined by my friend Minister McNaughton to announce that we are repealing this disastrous legislation that killed jobs, hurt families, business and manufacturing across our province. For many people, the Green Energy Act is a symbol of a failed energy policy, driven by dangerous ideology and a culture of waste at Queen’s Park. The Green Energy Act forced wasteful projects on unwilling communities while driving up the costs of hydro bills for families and businesses across Ontario. In 2017 alone, wind and solar projects added $3.75 billion in costs to hydro bills. 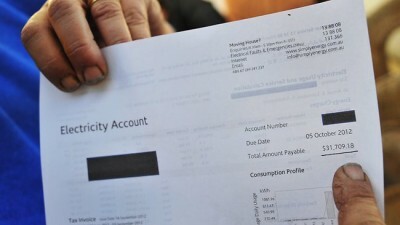 Even worse, 26 per cent of this expensive electricity wasn’t even used, it was curtailed, and you paid for it. This is part of the reason why, under the previous Liberal government, energy rates tripled, hurting families, and driving manufacturing and jobs out of Ontario. The Green Energy Act represents the largest transfer of money from the poor and middle class to the rich in Ontario’s history. Well-connected energy Liberal insiders made fortunes putting up wind-farms and solar panels that gouged hydro consumers in order to generate electricity that Ontario doesn’t need. These projects were forced on municipalities, with little to no consultation. When communities raised concerns, they were ignored, in fact trampled by Queen’s Park. One example of this is the Municipality of Dutton Dunwich. More than 80 per cent of residents in this community voted in a referendum to stop a wind farm in that community. The previous government ignored the people of Dutton Dunwich and forced this unpopular and wasteful project in this community. These are the consequences of 15 years of bad decisions. That’s why one of my first acts as Energy Minister was to cancel 758 of these expensive and wasteful projects, including the wind farm in Dutton Dunwich. This will save electricity customers across Ontario $790 million. Future decisions on energy supply will not be driven by ideology but what matters most to the people of Ontario, their pocket books. This legislation, if passed, will send a strong signal about our government’s energy priorities. We are committed to putting more money in your pocket by lowering hydro bills by 12%. We are giving power back to municipalities to ensure they are in control of where energy projects go. We are committed to cleaning up the hydro mess left by the previous government. We are committed to ending the sweetheart deals of the past that tripled your hydro bill. Off the road to ruin: a Ford that’s designed to keep Ontario motoring. Listen to the presentation given by Dr. Mariana Alves-Pereira in slovenia in May of 2018. 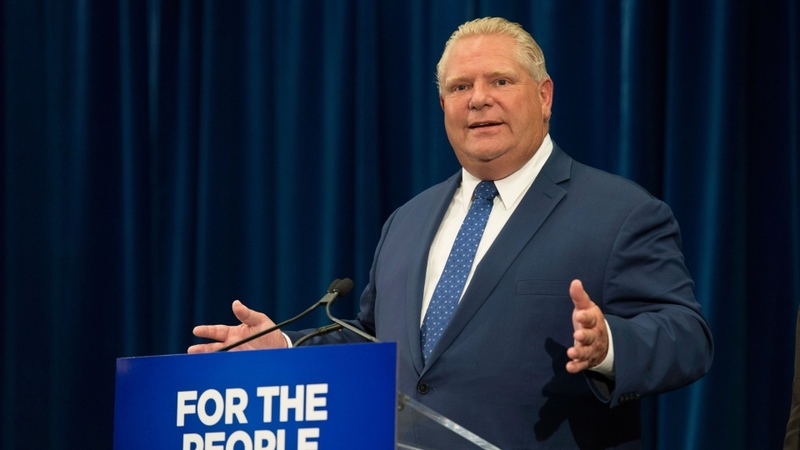 Doug Ford… Working on making Ontario a prosperous province once again, not one requiring hand-outs! From the inside this does not look so great…two of the biggest and most destructive wind developments went in prior to the “Green”EnergyAct and municipalities were mad enough to force these projects into rural zones ignoring the wishes of residents affected by the IWT. There is a return to some of the regulations from that period within the new legislation. As yet no acknowledgement of and compensation for loss of amenity and adverse health effects. When we see that we will have cause to celebrate. So often in this industry things are not as they appear, and are in desperate need of critical review. Notice that not a peep has been uttered by the new Ontario government about the harm caused to persons including children by wrongly-sited industrial wind turbines. How could the PC government who campaigned on a promise of being “for the people” not take a single second in the last four months since they were elected to acknowledge the people who are being directly harmed by the idiotic wind turbine policies they like to rail about? Does this seem like a red flag? Moreover, right now in Ontario one community is being forced to fight against the new Ontario government about the development of the Nation Rise wind turbine project south of Ottawa that was approved in the dying days of the last government. Ontario’s Attorney General is defending the project that was approved under the fatally-flawed regulatory regime, and community members are incurring costs and stress in front of the Tribunal pointing out the project is dangerous and wasteful, trying to protect themselves and their families and neighbours. So shameful. As for the proposed policy that municipalities will get to decide about the placement of industrial electricity generators: Ontario already had this scheme before the “Green Energy and Green Economy Act” of 2009, and is how many of the wind turbine projects in Ontario that are harming people today were developed. Municipalities do not have the resources to determine what is a safe setback for industrial wind turbine generators, so unless such a policy comes with a MINIMUM separation distance stipulated, re-introducing this sort of scheme and downloading siting responsibility to municipalities is really going to “pit neighbour against neighbour.” Again, not a peep uttered by the new government about this reality. PS – Regarding Minister Rickford’s comment about democracy in the community of Dutton Dunwich: the Ontario high school curriculum teaches students that in Canada a “referendum” is a binding vote by the people about an issue. At best the exercise in Dutton Dunwich might be described as a “plebiscite” or, since it was not an official act of the provincial or federal governments, a “poll”. I hate to see the Honourable Minister’s official misunderstanding of a “referendum” diminishing the significance of the concept. Yes and it needs to be know that there is an urgency about the need to turn the turbines off that are too close to or in some cases sited in clusters surrounding peoples’ homes and especially also for residents whose homes are too close to substations. Forced relocation is absolutely unacceptable. Anyone who thinks it is acceptable needs their moral compass replaced. We all saw the way the previous government turned a blind eye and came up with one delay tactic after another and left residents, who were reporting harm, with no effective solutions as they clearly demonstrated their genocidal ideology toward rural residents. Will this new government do the same thing? Planners are licensed professionals and these ones are [mis]representing there are NO “potential land use conflicts” of a dwelling being located 400 metres from an industrial wind turbine generator !!! 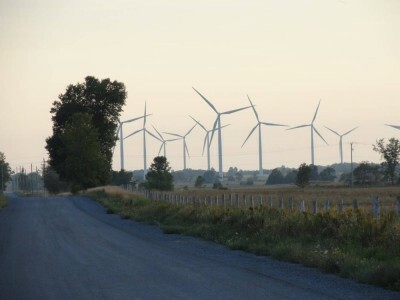 This is one of those projects that was developed back when the municipality had to approve the land use zoning change to permit the construction of the wind turbines, before the Green Energy & Green Economy Act of 2009 uploaded siting responsibility to the Province of Ontario. Maybe the Corporation of Norfolk County has insurance coverage for this. Or maybe the nation of Canada will end up holding the bag for the Province’s atrocities. Dr. Mariana Alves-Pereira has stated publicly that with what she knows about the impacts of infrasound from turbines, she would not live within 20 km from a turbine! She’s highly qualified and knows about the neurological damage as well as the damage to the cardiovascular system.